To combat the negativity surrounding the first release of the Entity Framework, Microsoft launched a messaging campaign and repeatedly told us that the EF is not an ORM. Often, people categorize Entity Framework as an Object/Relational Mapper and try to compare it to other O/R Mappers. I dare say that’s an apples-to-oranges kind of comparison. While Entity Framework does have ORM capabilities, that is only a fraction of its functionality, and more importantly, those ORM capabilities are achieved through a fundamentally different approach compared to typical O/R Mappers … Entity Framework is much bigger than a mere O/R Mapper. It is a conceptual-level development platform, and its ORM capabilities are an interface for applications to interact with conceptual models. As part of the effort, Danny Simmons wrote a post titled “Why Use The Entity Framework”. The big difference between the EF and nHibernate is around the Entity Data Model (EDM) and the long-term vision for the data platform we are building around it. The EF was specifically structured to separate the process of mapping queries/shaping results from building objects and tracking changes. This makes it easier to create a conceptual model which is how you want to think about your data and then reuse that conceptual model for a number of other services besides just building objects. Instead of propelling the Entity Framework forward, the messaging spread more confusion. The first version of the Entity Framework could only do one thing: reverse engineer a database and generate code to access the database. Yet, we were supposed to think of the Entity Framework as more than an ORM and see capabilities that didn’t exist. 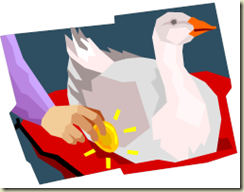 The Entity Framework walked like a duck, and talked like a duck, but we were told to think of the framework as a golden goose. Marketing can change the perception of a product but developers can always detect missing features. No one was sure when the features would arrive. Given the recent history at the time, we didn’t expect a quick turn around for the next release. Promising features in the far off future is like asking developers to take on a debt. “Use our framework today, and we’ll pay you back in two years”. This is a tough promise to accept given the fast changing technology landscape and how quickly Microsoft abandons frameworks. The second release of the Entity Framework bumped the version number to 4.0 and arrived with Visual Studio 2010. Although many new features were added, some were superficial and in hindsight, offered another lesson.